Size: approx. 20 mm. Photo: 09/25/11, 9 pm. What a beautiful insect. 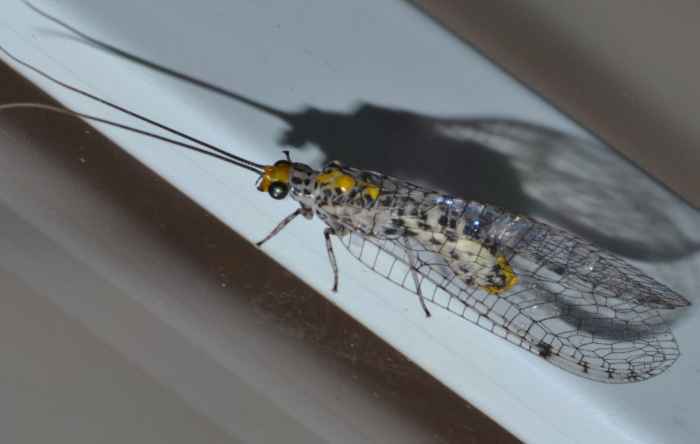 This lacewing is Abachrysa eureka. It can be found from Georgia and Florida to Arkansas and Texas.